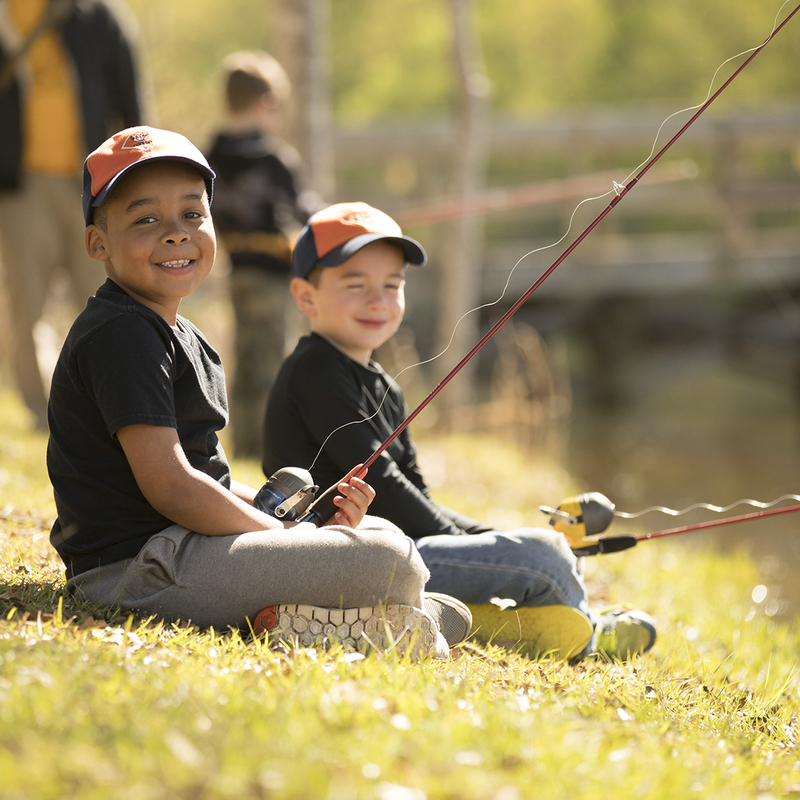 Call us at 770-989-8820 and our helpful staff will connect you to a Cub Scout group near you, or click here to fill out a form with some easy information and we'll contact you! Cub Scouts is an active program for children in kindergarten through fifth grade, that encourages learning, friendship, and most of all fun! Youth learn by doing, and there is no end to the fun things that Cub Scouts do with their families, Cub Scout Packs, and at special events. Camp under the stars. Tie knots. Visit a police station. Shoot a bow and arrow. There is no limit to the fun things your Scout will do. Kids want to join Scouting because it is fun. But you’ll love it for all the other benefits your child receives. Scouting teaches leadership and character. It builds confidence and social skills. It teaches the value of service and citizenship. And it brings families closer together. 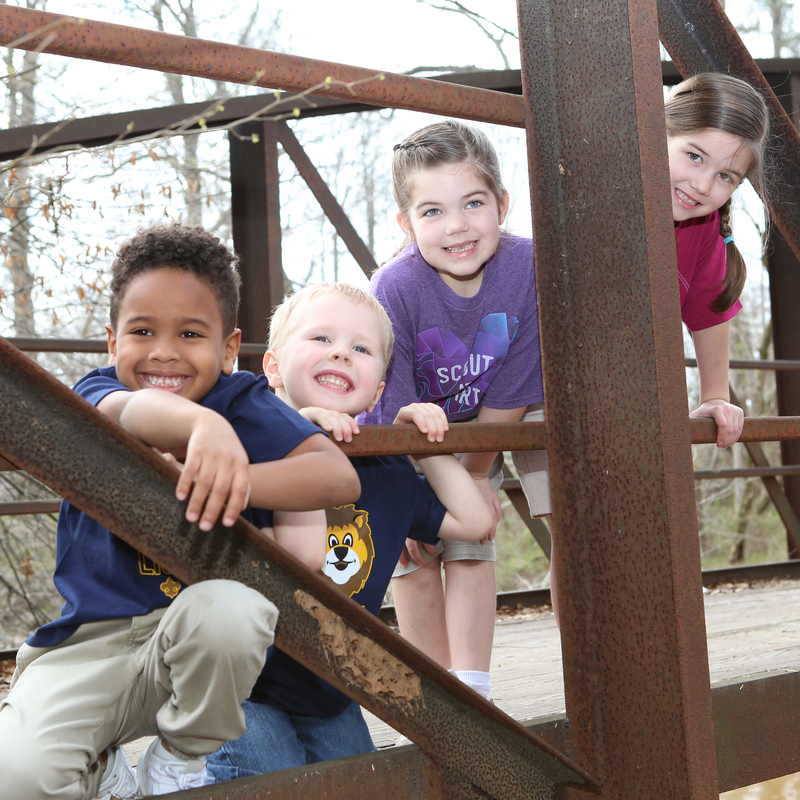 Cub Scouts is for boys and girls, kindergarten through fifth grade. Each Cub Scout is a member of a Den. Dens are a group of 6-10 kids around the same age. These groups are all girl or all boy Dens that meet on a regular basis. Dens go on fun trips, play games, do service projects and learn new skills. Dens come together to make up each Pack. Scouting has fees for membership and activities. The annual membership fee is $33 and Scouts' Life magazine is an optional $12 plus tax per year. When joining, both of these fees are prorated by month. Other costs vary depending on the activities of your local Pack and typically range from $40 to $100 annually. One of the key values of Scouting is that Scouts should help earn their own way. That's why we offer multiple opportunities throughout the year for your Scout to earn the money needed to camp and participate in other activities. Absolutely! There are tons of organizations in neighborhoods throughout the Atlanta area that sponsor Cub Scout Packs. Cub Scouts meet at service organizations, places of worship, schools, and more, all within a comfortable distance to your home. To find a Pack near you give us a call at 770-989-8820.
Who will lead my Pack? Cub Scouting is a family activity! You will have the opportunity to take a role in leading your child's experience - and we're here to help you become the best leader you can be with training, online resources and support from our Program Center. Joining Cub Scouts is easy. Our helpful staff will connect you with a local Cub Scout Pack and volunteer leader. Call us at 770-989-8820 to find out more about Cub Scouts or click here to fill out a form and we'll contact you. For more than 80 years, Cub Scouts has provided fun for millions of children around the country and that fun awaits your child today! 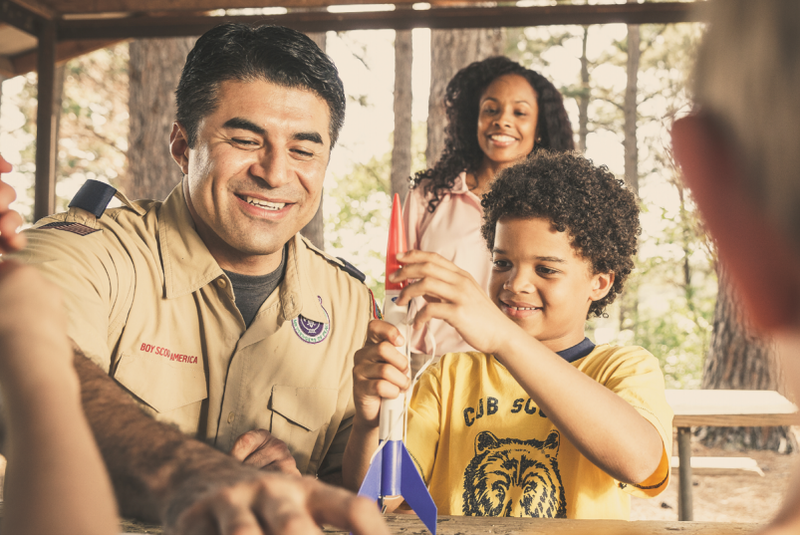 From launching their own model rocket to roasting the perfect marshmallow, your child will love being a Cub Scout. And the adventures that they will embark on are endless! Camping, swimming, climbing, archery, sports, you name it, Cub Scouts offers it. Get more involved with your kids in a way that puts the fun first.